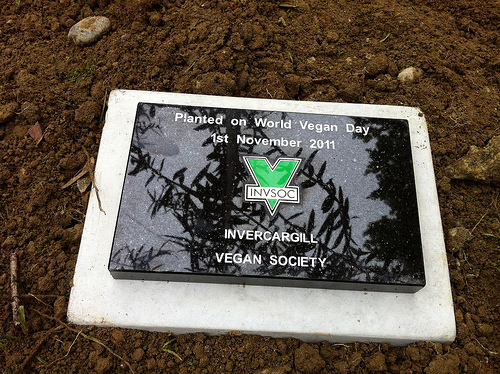 To celebrate World Vegan Day 2011, the Invercargill Vegan Society (INVSOC) planted a memorial tree - 67 years since Donald Watson coined the term "vegan", and the first Vegan Society were founded in 1944. 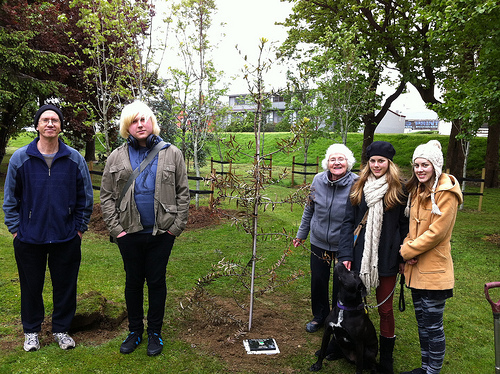 Our greatest thanks to Invercargill Parks and Reserves for helping us remember this great day :-) The tree chosen is a Kauri ("cow-reee"), a New Zealand native which grows to be very, very big! 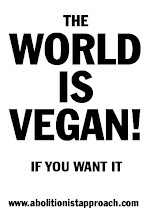 Also, try our World Vegan Day episode, featuring over 30 vegan voices from around the world :-) Episode 67 "World Vegan Day 2011"
Our Tree was visited by Wellington Vegan Julie Gunn, of radio show "Animal Rights and Wrongs"
What wonderful symbolism that veganism is taking root! Jordan, besides the tree being planted which is a beautiful symbol for planting seeds of change and "veganism taking root" thanks Barbara, the plaque is just amazing! You are truly inspiring J. Thanks for everything you do! woah that plaque is hot! I love it! 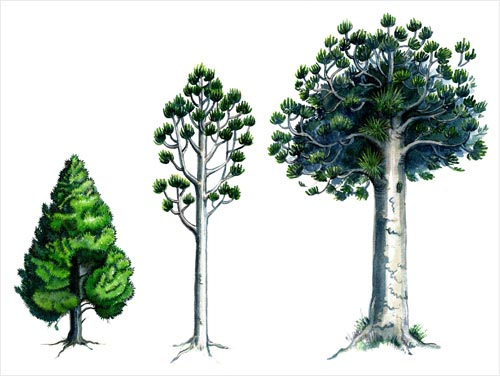 It would be nice to see other abolitionist Vegans plant trees in other parts of the world.